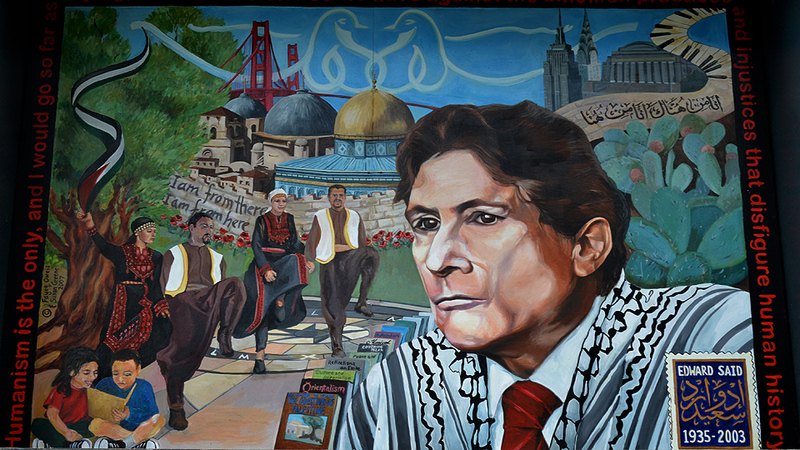 Edward W. Said, who died Sept. 25, 2003, at the age of 67, was many things to many people. Depending on which newspaper’s obituary you read, Said was “a prominent figure in the debate over the Arab-Israeli conflict” (Boston Globe), “the subject of bitter dispute” (the London Daily Telegram), a “Palestinian apologist” (The Jerusalem Post), or “the most prominent advocate in the United States of the cause of Palestinian independence” (The New York Times). In many ways, the range of descriptions is quite appropriate. To some, the Columbia University professor was an activist who happened to teach; to others, Said was an academic who happened to be political. To still others, he was both. His importance and influence seem to be agreed upon by all. His opponents – and he had plenty of them – went so far as to call him “The Professor of Terror” and question his upbringing. Said was born in Jerusalem, at the time under British control. Though his family left Jerusalem in 1947, Said had an undeniable connection to Palestine throughout his life. From 1977 to 1991, Said was a member of the Palestine National Council, the legislative body of the Palestine Liberation Organization. Though Said openly disagreed with some of Yasser Arafat’s decisions as president – most notably, Said was critical of the 1993 Oslo Accords – he was on the side of the Palestinian people in their struggle for independence. This was in no small part a source of his vilification by the right. But Said remained firm in his convictions – for Palestinian freedom and against terrorism in all its forms. Said also found his fair share of critics for his literary and cultural theoretical work. With the 1978 publication of “Orientalism,” Said forced light onto the dark corners of Western literature. He showed the world the effects and manifestations of colonialism. In doing this, Said played a large role in fundamentally changing the way literature is studied. On the first day of my first college American Literature class, before reading Columbus and Cotton Mather, we read Said. To understand America, my professor explained, you have to understand it as a colony. But while Said’s writings pushed all of the students in that class to see the U.S. as colonized, he was also aware of the U.S. as colonizer. In one of his later books, “Culture and Imperialism,” Said tackled the role the arts and literature play in making imperialism acceptable. Citing the example of the first Gulf War, Said compared the Arab interpretation of events with the American interpretation. “In the American view of the past,” Said wrote, “the United States was not an imperial power, but a righter of wrongs around the world, in pursuit of tyranny, in defense of freedom no matter the place or cost.” In other words, America had convinced itself that its own imperialism was good, an ideology that has led to the current occupations of Iraq and Afghanistan. Said’s death leaves a certain emptiness in the academic and political world. However, his work, life and legacy have paved the way for many others to carry on his fight.